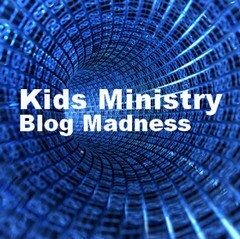 Home Children's Ministry My Blog Madness iPad2 Challenge! First, my mini-rant – I think some people lost the whole point of this – it was to vote for the blogs you liked the best, not use your influence to rally votes for someone. But since everyone seems to be doing that, I’ll give in and lend whatever little influence I have and tell you who I’m voting for. But when faced with THESE “Final Four” you have four incredible bloggers – two I was very familiar with (Jim and Sam) and two that were newer to me (a great thing about this contest!) So, I’m gonna just be a good sport and go for the guy who beat me in the biggest upset of the second round – Justyn Smith – the guy who I had a 100+ vote lead over who somehow mysterious had a rally that knocked me out in a few mere hours! I don’t know if he had a Saturday evening church service and his third sermon point was “Pull out your cell phone and vote for me” or if he was at a TobyMac concert and hacked into the Jumbo screen and put instructions up there! But somehow he did it! But I was glad to discover his blog – so I’m still a winner! So…. if you are with me, he’s losing BIG TIME right now, and thanks to HIM, I know that feeling, so go over to the Final Round and see if you can help him. 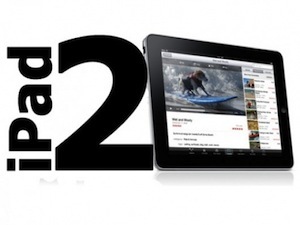 Justyn Smith wants to win to get an iPad2 – he’s losing by over 100 votes! There is still HALF A WEEK left. If he wins, he gets an iPad2 from Tony, BUT if he loses within 25 votes – I’ll buy him an iPad myself! How’s THAT! GO VOTE for Justyn Smith! Yup, I’ll give to the guy who beat me in Round Two! Great idea and this could add a new wrinkle to the final days of this competition! Great! Since I did not even hear about this contest outside of someone asking for votes (who should have started earlier), I agree that the winner will be the one with the better social media connections and the willingness to use them!!! Still, I have discovered some great blogs this way and have been encouraged to possibly jump in the water myself! Now what do I need to do to get an iPad2 from you? On a side note though, I really love your blog and I think if you were up against anybody but my husband, you deserved the win. Maybe next year.